What is the role of auctions in the art community/economy? 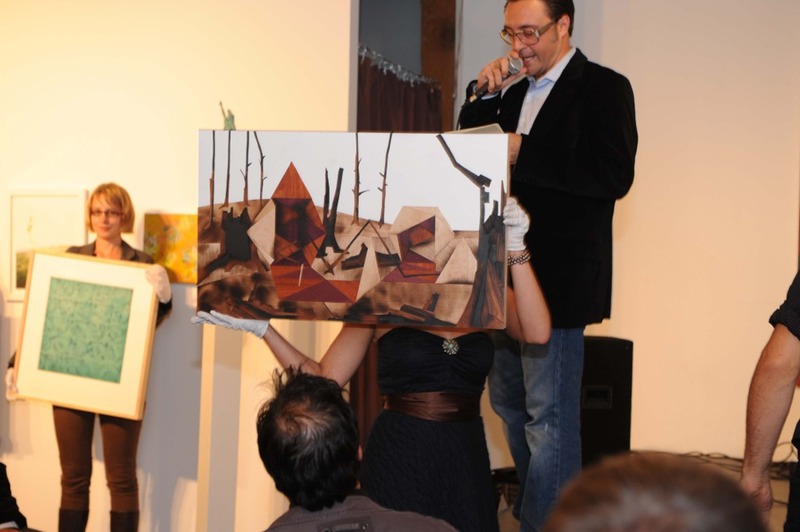 Auctions can play a huge role in fundraising for non-profit organizations, especially in the visual arts. Especially at an economic time when people are wanting to make purchases but are hoping to get a deal on a nice piece of original work, an auction is a great way to bring people together to show their enthusiasm for art & artists. How does the artist, curator, collector, and space benefit from an art auction? What is the affect of art auctions on these various roles? 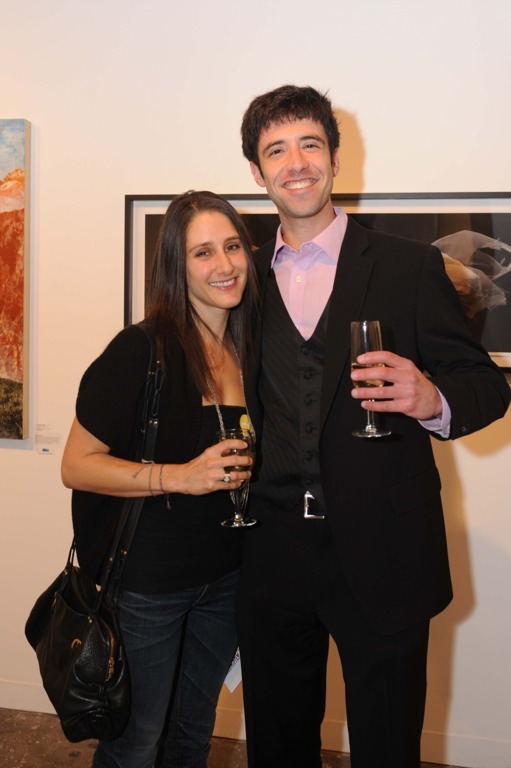 There are a few vantage points when it comes to sussing out who benefits from an art auction. An established gallery owner, artist, or collector may feel that it reduces the value of a piece of work or the artists’ series for any of the works to be sold below their retail value. 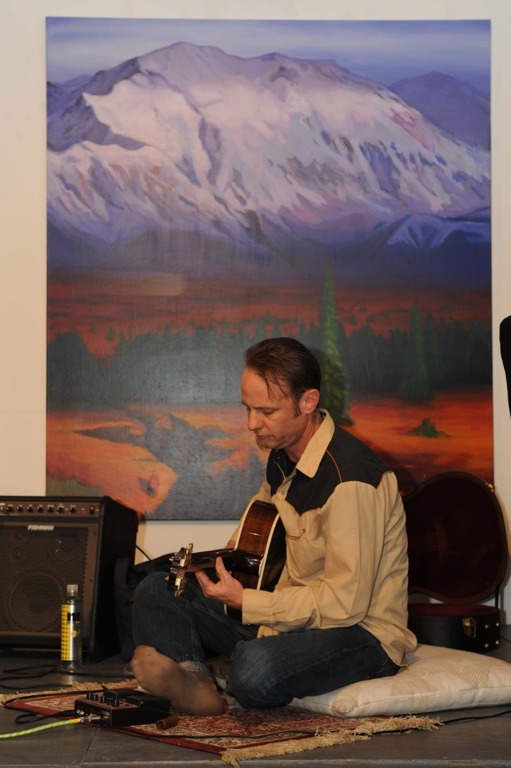 The other side is that it can create a market for an emerging artist’s work. I know many artists starting out that made their first art sales and became part of collections via participating in an auction. Personally as both an artist myself and the director of a space that raises a good part of its annual budget from our art auction, I feel these opportunities are a win/win/win. 1) The artist gets exposure and shows his/her support for a particular cause or organization; 2) the non-profit prospers from the donation, & 3) the organization has the funds to continue programming that supports artists. In my mind, it’s always been part of a larger ethos to pay it forward. For people who aren’t familiar with auctions there are two kinds. Silent and Live. 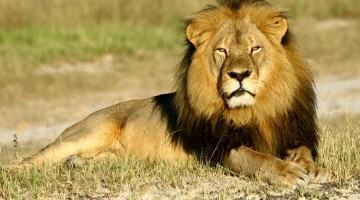 What are the advantages and disadvantages of these two kinds of auction. A “live” auction is what you think of in the movies where an auctioneer rattles off bids in increasing increments until no higher bid is offered. In a “silent” auction, this bidding goes on by placing amounts on written slips until a designated end time when the bidding closes. Both offer exciting competition for the desired good, but a live auction becomes almost like a theatrical affair where the bidders feel the pressure of the crowd watching each next move. How are art auctions commonly curated? 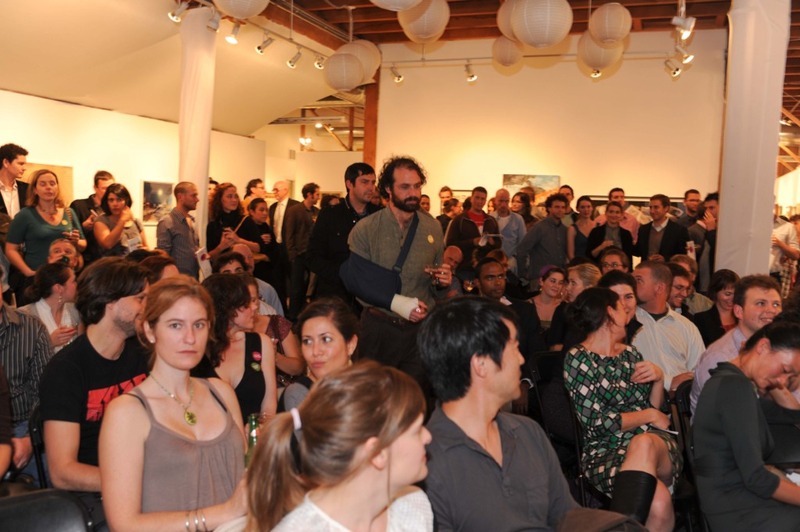 How does Root Division curate the artists for your auction? I’m not fully aware of others’ methodologies other than that the work is generally separated in “lots” or groups. 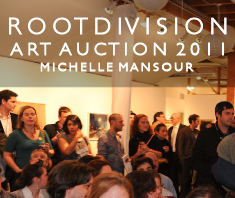 Root Division does some light curating of our auction, partially in that artists are included by invitation only. From there, we often place artists in the front room/ live auction based on a few criteria: 1) more established artists/ work that has a collector base; 2) work by our Studio Artists, as part of the purpose of the event is to showcase the work of this group and to fundraise for the subsidized studios we provide them; and 3) pieces that are strong aesthetically and/or where the artist selects to donate 100% of the sale (rather than take any commission.) We really like to feature artists that are contributing to the spirit of our fundraising efforts by selecting quality pieces. How often does Root Division have an art auction? What can we expect from this years auction? We have our Annual Art Auction, well annually! To date it has always been in October, and this year it is Thursday, October 20. We also hold mini silent auctions at our spring fundraiser TASTE, where the focus is on bringing in chefs and mixologists to create artfully inspired appetizers & cocktails. We get a great deal of support from businesses as well as artists with items such as nice bottles of wine, gift baskets, and gift certificates for restaurants, salons, acupuncture, yoga, etc. Have you ever purchased any artwork from an auction? 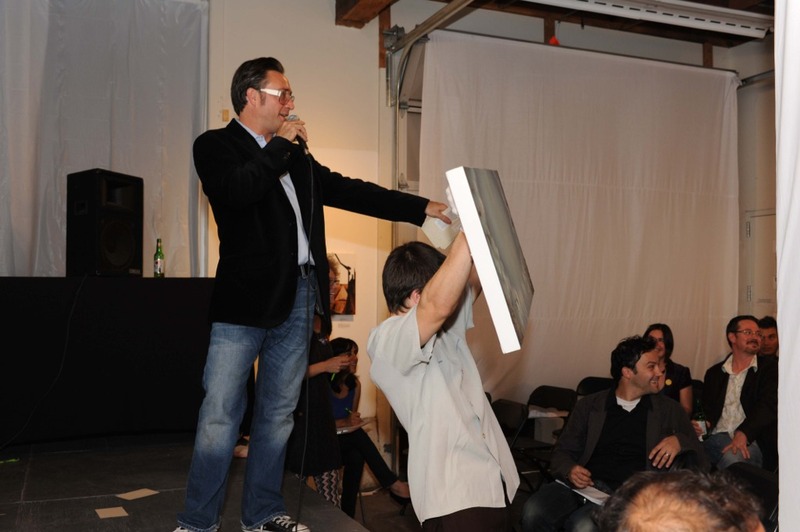 What was your first art auction purchase, and where? Absolutely! Almost my entire collection has been purchased from auctions, and of course specifically from Root Division’s auctions over the past 10 years. I get so excited at this event each year that I usually need restraint from buying too many pieces. I only have so much wall space! It can be very exciting to participate in an auction. Do you have any tips for an unexperienced bidder? Some people suggest that you think about buying artwork as a financial investment, seeing who is up and coming or the next hot thing. My advice is to go from a more personal approach. Find a piece (or pieces) that really strike a cord with you emotionally or intellectually — something that reminds you of someone or something or someplace or sometime particular. Ideally you want to live with this purchase for a long time. Set the maximum you are willing to spend in your mind, and then add a little bit just in case it gets competitive. Once the bidding gets started, hold your ground on your budget, but also remember it’s probably for a good cause. And generally the artist will be just as thrilled as you are to have their piece find a happy owner & home outside their studio. Previous post MALLICK WILLIAMS & CO.